Weekly Market Analysis: January 11th to 15th 2016 - Find the best Binary Options Brokers, Binary Options Bonuses, Binary Options Signals, Binary Options Software and everything Binary Options related on Binary Options Directory! Forex News: The jobs situation in the United States improved in December as shown Friday by the better than expected value of the Non-Farm Payrolls report. However the greenback strengthened just briefly against the Euro and soon after the release the pair started to climb. We are probably in for a slow day but the pair is now trading above the 50 period Exponential Moving Average and this suggests that bullish price action will continue at least until 1.0945 minor resistance is reached. This will be the first potential turning point, followed by 1.0980 and the overbought position of the Stochastic will favor a drop if one of these resistances holds. The day ahead lacks major economic or political announcements for both the Euro and the US Dollar and this contributes to our expectation of a slow trading session. 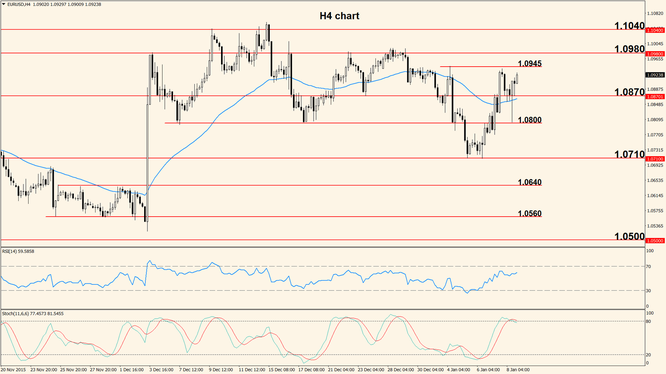 The NFP release generated the expected impact Friday and the US Dollar strengthened on the back of a better than anticipated number, taking the pair below key support. 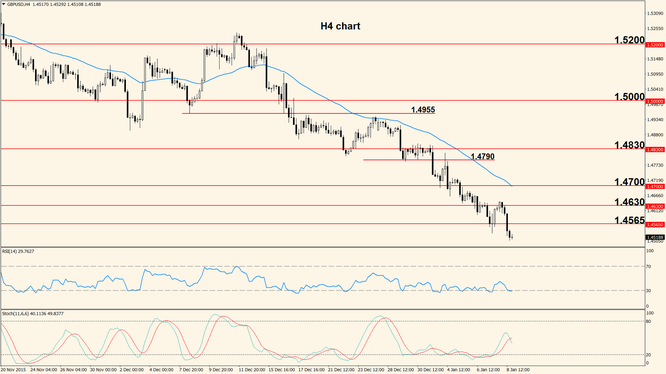 The support at 1.4565 is now broken but a stronger retracement to the upside is long overdue. We consider that the probability of moves north is high and we expect an encounter with the 50 period Exponential Moving Average in the near future but probably not today. A more likely scenario is a move into 1.4565 followed by a period of ranging price action. Similar to the rest of Europe and the United States, the United Kingdom didn’t schedule major news releases for today, thus the pair’s direction will be mainly dictated by the technical aspect.